“Our website is not mobile yet.” Or “We do not have a mobile app yet, but we’re working on it.” Many think that a mobile marketing strategy is about having an app or a website that works well on a smartphone or tablet. 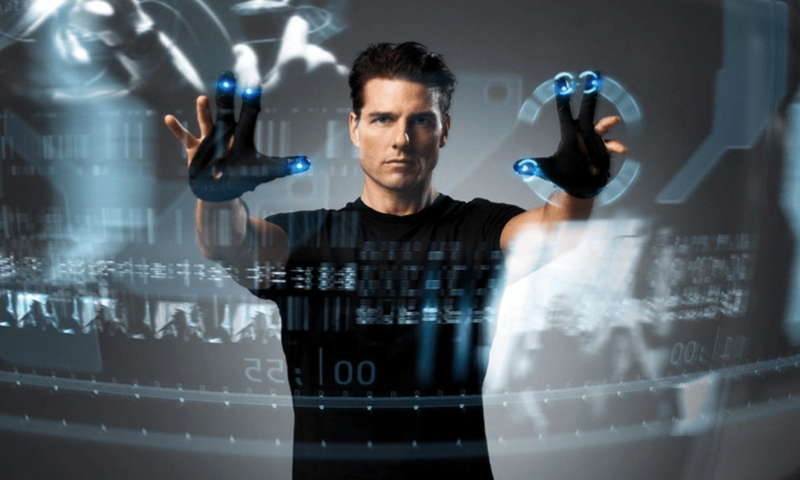 What fewer people see is that current and future mobile technology definitely has or will have a much greater impact. Mobile is having a drastic impact in the way consumers and businesses make decisions and make purchases. It’s tempting to describe the growth of global mobile using statistics and graphs. But you do not need have data or statistics to see this change. Look around: everyone has a mobile phone in his hand and is swiping away. It doesn’t matter whether they are sitting at their desks, on the bus, on the street, in the subway, in the car, in the office, on the toilet, or at the campfire. Everyone checks his e-mail, scrolls through his Facebook, checks Snapchat, posts selfies, streams live video, searches for products, reads news, pays bills, plans the next vacation, listens to music and buys stuff. Today a mobile device is a wallet, computer, TV, radio, newspaper, library, camera, game console, classroom, shopping, GPS, remote control for your entire home, personal assistant, and so on. And every day it is becoming more and more. Smartphones today have become surrogate digital sales assistants. I cannot imagine what the importance of mobile devices is going to be in 10 or 20 years, but what is certain is that they will be even more indispensable and more powerful. In the hand, the wrist or projected on your eyeball, within just a few years more than 90% of all communication with companies and brands will be done via mobile screens. Or even no screen anymore? Entirely via voice recognition, face recognition or brain waves. Crazy or freaky? Maybe. I have no crystal ball to predict what it will become. But that devices will become smaller, more powerful, more mobile and more digital, that’s for sure! Digital transformation should be more than ” We must do more digital!”. Or also “We need to remain competitive in a digital world“. These statements look great on paper, but they actually mean nothing. It is only when digital initiatives have clear strategic goal, that you can talk about digital transformation. Because without purpose, it is difficult to work out a strategy. And without strategy, it seems difficult to achieve the desired results. The same is valid for your mobile strategy. 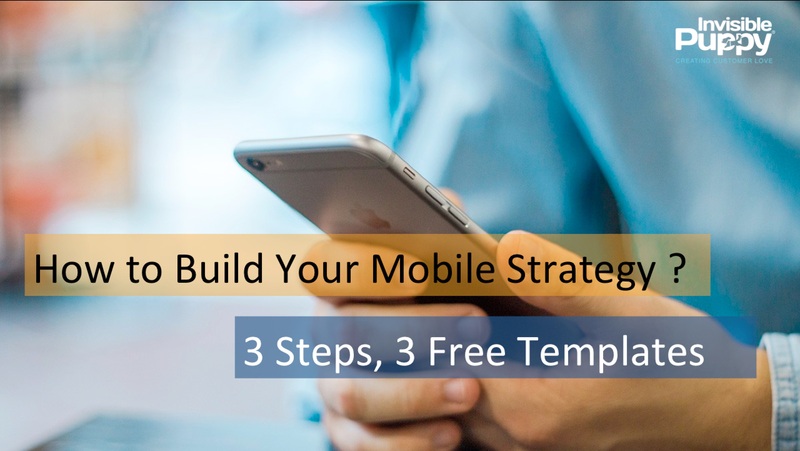 What is the strategic goal of your mobile strategy? 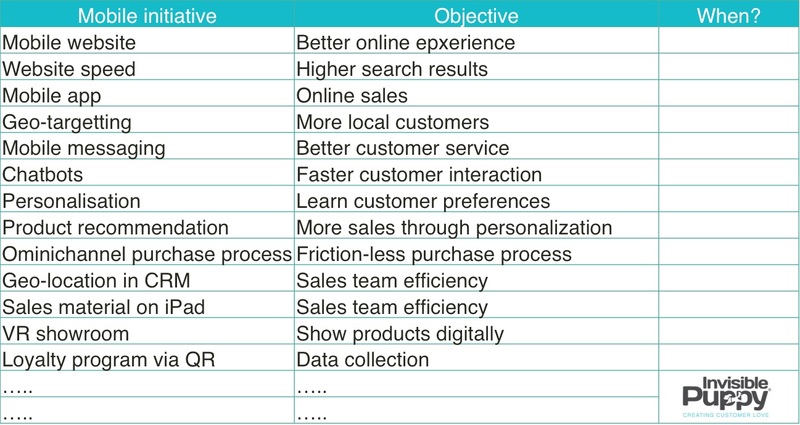 I could list dozens of goals, ranging from better customer service, do more with data, or better customer interaction. But it is clear that each of these goals is about “doing things better,” or “become a better company.” In itself these are not bad goals, but in a digital world these type of goals are is less and less the right answer. The problem today is that the classic mantra “The customer is king” is under pressure. Good products, good customer service, that was always the answer. And that is still important, don’t get me wrong. However, today we live in an increasingly globalized world where consumers and businesses are becoming more aware of what exists and what they can expect. The traditional objective of “doing things better” is under pressure. Why? Our world is getting smaller thanks to digital, you already knew that. This is not necessarily a bad thing. Your business is just a click away, and more customers can find their way to your products. But because the distance to your (online) competitors is also only “one click away”, you also have more and more competitors. The traditional objective of “doing things better” has become a finite strategy. Just as “the lowest price” is a finite strategy. Or “the best service”. You will always be topped by competitors that are only one click away. What is the value of a landmark visit to the top “metal ball” of the Atomium in Brussels? Even without a good understanding of marketing, or a degree in economics, you can easily understand the importance of customer experience. To explain that in a simple way: just think of what the production, distribution and value of grain or steel is for you? Or a store? Or a restaurant? For raw materials such as steel or grain I imagine large logistical operations and industrial market places. I also easily understand their importance in the value chain. For finished goods I think of shops, shopping centers, Amazon, my wardrobe, etc. Easy right? And I also understand what they mean to me. Without finished goods I cannot buy anything, but I also understand that raw materials are needed to make them. For less tangible services, I visualize restaurants, hotels, taxis or digital strategy services like we offer at my company. At a restaurant I get food, and I can sleep in a hotel. Simple. Understanding the value of customer experience is actually no different. Obvious examples are watching a movie, a concert, swimming with dolphins or a visit to the top “metal ball” of the Atomium in Brussels (see picture). How to apply these principles on my business, on my products and on my services? Say your product is a taxi service. How do you ensure that you get the best taxi driver? Indeed, there are many competitors. The digital world also ensures that the distance between your service and the customer is getting smaller. Your customer can order his taxi via his smartphone. But the same digital world there also ensures that the distance between your competitors and the customer also becomes smaller. In other words, you get more competition (remember the Über example). How to become the best taxi driver and you survive while your competition? In his book “Building Dragons: Digital Transformation in the Experience Economy”, Daniel Newman uses the following example: in an old American television show Taxi Iggy decides to become the best taxi driver in the world. He does give it by its customers snacks, drinks and information about the city. Customers paid even more, by asking him to drive around the block, to enjoy a little longer the experience. And that is also how Über is bringing experiences. They ensure that drivers are friendly, have a neat car, a friction-free ordering and payment process, and feel worry-free that you will get top service and have the opportunity to give feedback. No drivers will refuse to drive you because you want to drive too far, because the driver knows in advance where you want to go. You are not afraid that you will step into an illegal taxi because drivers have been checked if they are insured. So the question is not: do you have a mobile strategy? The right question is: do you have a mobile strategy that can bring remarkable customer experiences? More importantly, are you already taking steps today to adapt to this change? Because it is not that we are here talking about something that is going to last another 10 or 20 years, before it will happ. Visualize your mobile strategy on a timeline of 3 to 5 years. Visualize the timeline, and think about where you are now. Look at all initiatives of your competitors. Also look at what your competitors are not doing, but should be doing. Think about the opportunities that brings mobile. Take your time. There is no such thing as a bad idea at this moment. What can you do better? What can you do with mobile technologies to create better experiences for your customers? How can you use mobile technology to attract customers, develop customer, retain customers? How can you ensure that customers use your products more or buy more? In essence, make the list. Do you have it? OK, good. Check your list, and now try to bring this long list of initiatives together in an evolution over time. What is your mobile strategy in six months? In 18 months? In 3 years? But watch out. This is not a roadmap. Because a roadmap is something you usually need to stick to, because you want to show your boss or shareholder you are make progress, or that you are following the plan. The danger is that you’re going to compromise on quality of your mobile strategy, just to remain in line with your roadmap. Better is to follow the natural timeline that is necessary to realize the mobile evolution of your company. Now that you have given everything a place in time, it is interesting to split the list in two categories: “Adaptive” and “Innovation”. Before you can innovate, you should first ensure that you play catch-up. Because if you do not do the catch-up initiatives first, then innovating is probably not needed anymore: your competition has so much head-start, that you have become irrelevant in your market. The last element of the exercise splits all your initiatives in customer-facing and employee-oriented initiatives, or “Internal” and “External”. How can mobile technology solve some internal problems for your employees? How to solve operational problems with mobile technology? How can mobile improve internal collaboration? How can you use mobile technology to better manage projects or campaigns? How can mobile make you stronger in logistics? How can you increase productivity thanks to mobile technology? How can mobile technology help you to manage your staff, who are increasingly mobile and off-site? In short: how to use mobile technology to build a better, faster and more agile organization? Once you’ve done this exercise, you can set priorities on the basis of this list, build the related business case and start planning. Today it is not about the product. OK, your product must be good, and it must be competitive. Today is all about experiences. Mobile experiences in this case. Hopefully this step plan will help you to get on your way. Do you have questions? You’re stuck, or want to know more? Please feel free to comment, or drop me a line on social media.